A physical therapist (PT) helps patients to regain movement and deal with pain after an injury or illness. A three-year doctor of physical therapy degree is required to obtain these positions. A student typically must first have a four-year bachelor’s degree just to get into the PT program. That’s 7 years of college! What Courses Should I Take To Become A Physical Therapist? Science – As much as possible, including biology, chemistry, physics, and psychology! What Is The Work Environment For A Physical Therapist? PTs typically work in physical therapy offices, hospitals, and nursing care facilities. This position may require heavy lifting and standing on your feet for much of the day. What Is The Future Outlook For A Physical Therapist? What Degree Should I Consider If I Want To Be A Physical Therapist? Lots of opportunities in PT and PTA! 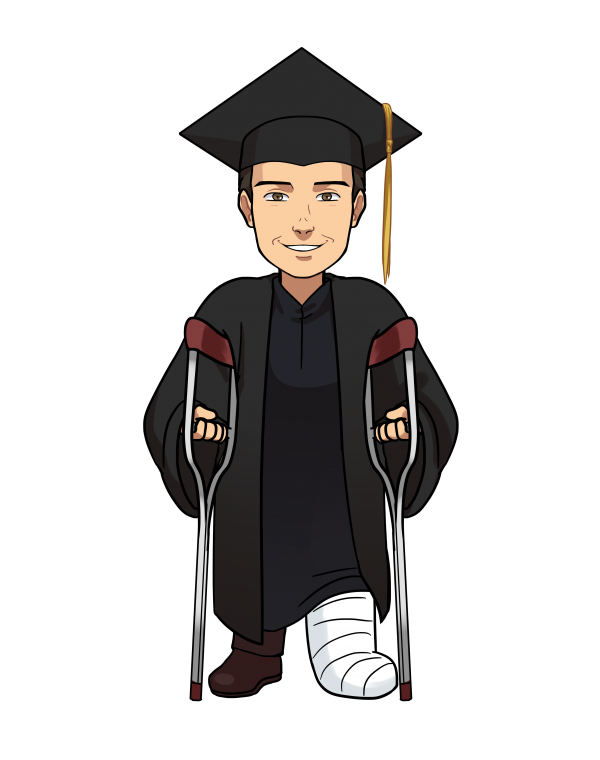 Maybe you can help me with my leg after graduation!